Malting barley loaded at one of Boolah Commodity Management’s four Pinkenba sites empties at the nearby Barrett Burston Malting plant. MEMBERS of the Queensland Agricultural Merchants (QAM) Association got an insight into how a pop-up logistics business is doing its bit in Brisbane to distribute interstate grain to Queensland end-users with a visit last week to Boolah Commodity Management’s (BCM) leased sites. Since February, BCM in Brisbane has handled more than 200,000 tonnes in total of interstate grain, all of which has made its way into feed rations and processing via the Port of Brisbane public berth at Pinkenba. “We started by leasing one site, and now we have four here at Pinkenba,” BCM principal, Stuart Tighe, said. BCM had been able to unload up to 10,000t of grain in one day at the Pinkenba wharf by simultaneously using two grabs, each with a 13.5t capacity, to take grain from ship’s holds and place in trucks parked under the Bulk Cargo Services (BCS) hopper. Most grain handled by BCM has been wheat and barley from Western Australia, and some Victorian tonnage has also been received. The MV Pan Edelweiss, due to arrive next week from Kwinana, will be the ninth vessel to be unloaded by BCM at Pinkenba to date. Mr Tighe said he expected the operation to continue at its current size until late next year, provided enough rain fell to produce a sizeable winter crop in Queensland and northern NSW next year to return the region to self-sufficiency. 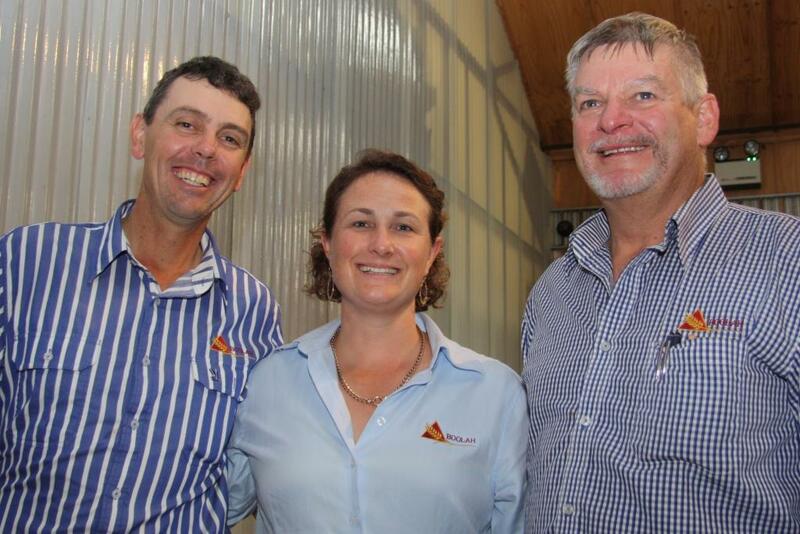 Mr Tighe and wife Lyndall run the Boolah Partnership family farming operation based near Moree in north west NSW, and set up BCM as a complementary operation and a separate entity to handle grain and pulses. In previous years, BCM has put together trainloads of grain and pulses for export, and it runs a containerised packing plant near Moree. The Tighes also operate a fleet of Boolah Partnership trucks. 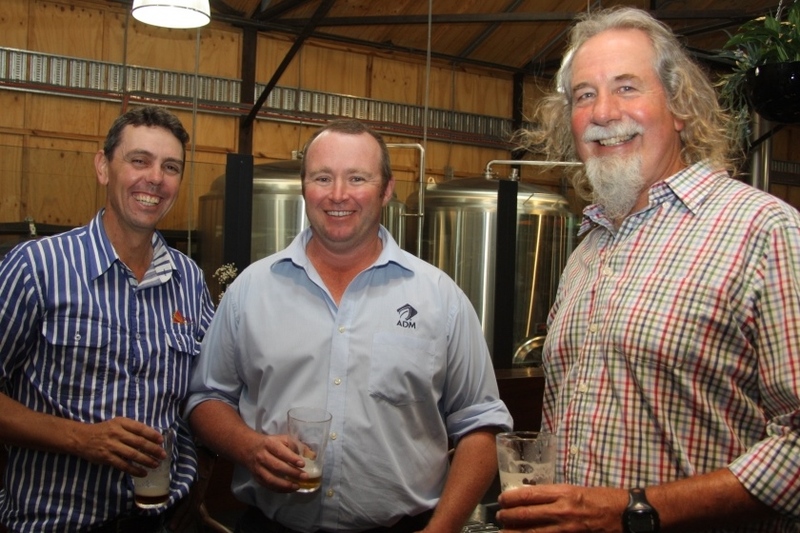 BCM operations manager Michael Beeston said the move into portside logistics started from the company’s desire to improve efficiency in the way it delivered Boolah’s barley to BBM’s malthouse at Pinkenba. “We figured out it was better to have two trucks running barley from a storage near the plant than it was to trying to schedule six trucks bringing it from Boolah’s storages in NSW,” Mr Beeston said. 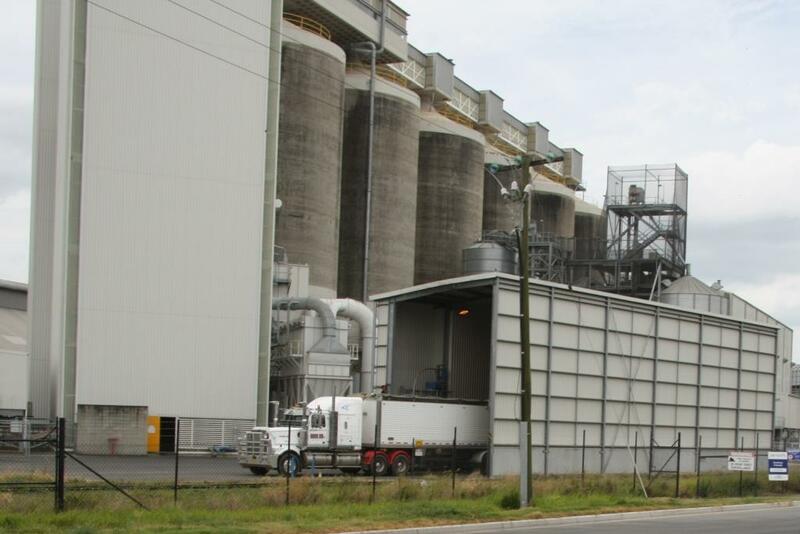 This realisation led to BCM leasing its first Pinkenba site in the BCS complex at a time when traders and end-users were realising that the most plentiful and affordable grain available in and around the drought-affected Brisbane market would come from interstate via ship. By May, BCM had leased its second and third Pinkenba sites, and the company is now preparing to receive grain at its fourth, which will lift its on-site storage capacity in Brisbane to around 140,000t. Mr Tighe said most of the grain BCM handles is despatched from its sites within days or weeks of arrival, and its clients are charged a flat per-tonne rate for BCM’s services. BCM does not trade grain brought in by ship, but handles it on behalf of clients, who are given a login to a BCM portal which enables them to keep track of their stock on the pads. 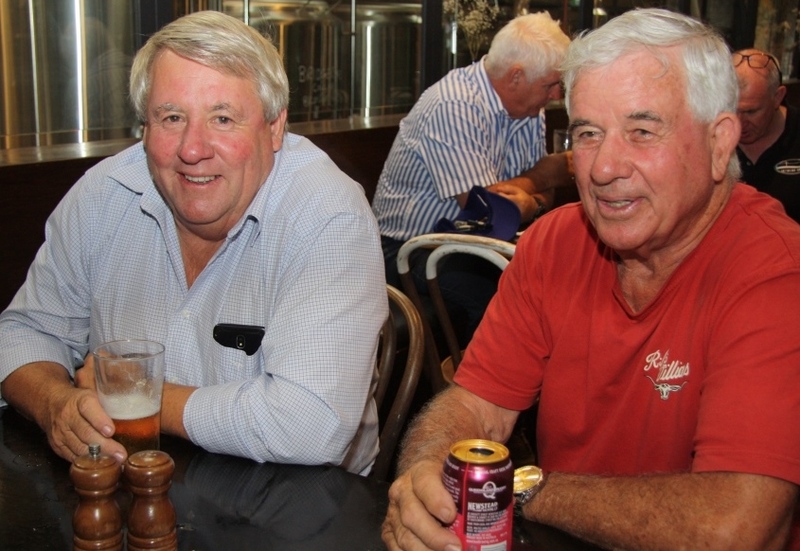 Mr Tighe said the fast turnaround of grain on site meant BCM did not have to co-mingle grain. BCM is the only company operating on the north shore of the Brisbane River, while GrainCorp at Fisherman Islands and Wilmar Gavilon’s Queensland Bulk Terminals (QBT) at Murarrie are out-turning shipped grain on the south shore. QAM president Andrew Jurgs said grain shipped to Brisbane from interstate ports had become hugely important in southern Queensland. Mr Jurgs said BCM offered the kind of flexibility that came with a smaller operator. Grain at BCM’s Brisbane sites is unloaded on to hardstand pads covered with plastic, and the grain itself is also covered with plastic. While grain is not a host to the fire ants which now infest parts of Queensland, soil is, and placing the grain on plastic has been part of the BioSecurity Queensland requirement for BCM’s operation. “No nests have been found in Pinkenba, and BioSecurity Queensland is monitoring the situation in all the zones to limit their impact. 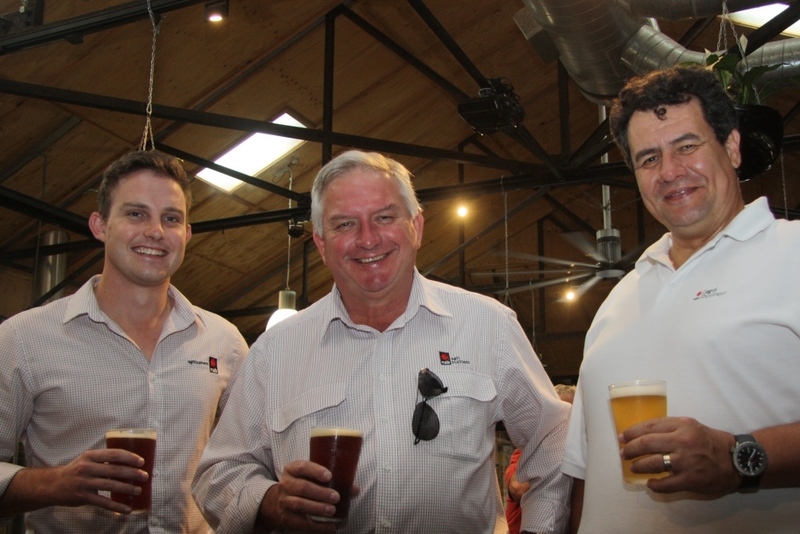 Boolah Commodity Management principals Stuart and Lyndall Tighe of Pallamallawa, and operations manager Michael Beeston at Newstead Brewing Company for the QAM lunch. Terry Deacon of Deacon Seeds, Dalby, and N.O.N. Enterprises principal, John Barry, Brisbane. 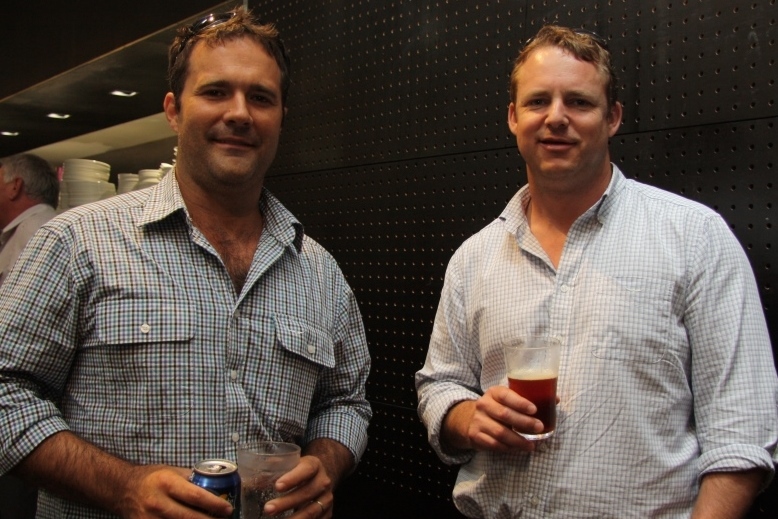 Emerald Grain’s Darling Downs merchant Scott Merson and Robinson Grain’s Scott McNickle at the QAM lunch. BCM principal Stuart Tighe, Pallamallawa, Moree-based ADM accumulation manager for Queensland and northern NSW, Peter Dorney, and Ag Commodity Trading principal John Francis, Toowoomba. 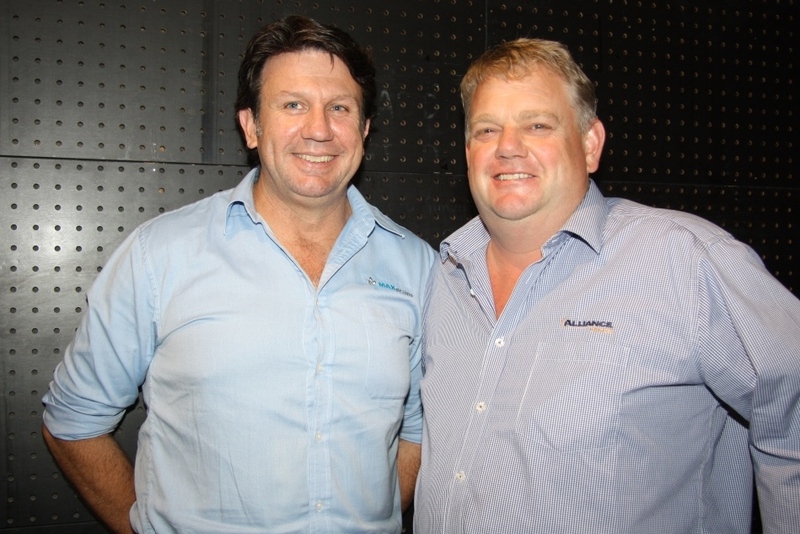 Maxgrains director Jack Fahy, Brisbane, and Alliance Grains principal Luke Walker, Toowoomba. 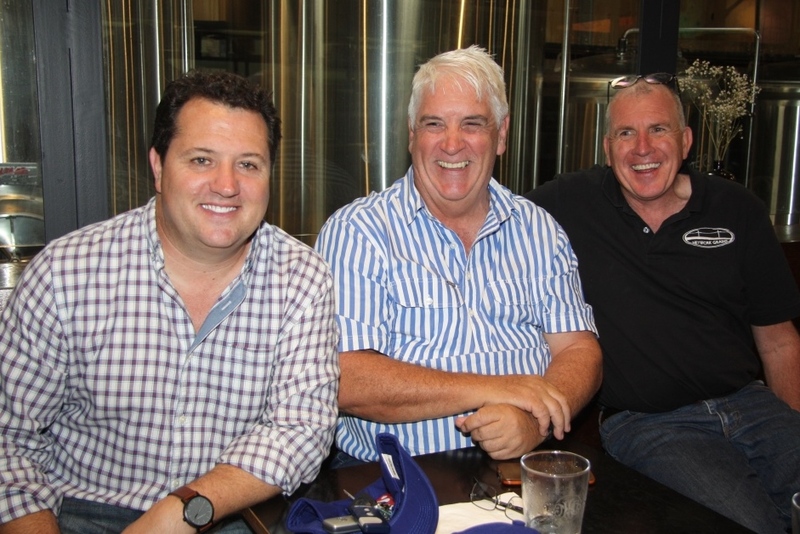 NAB Toowoomba’s agribusiness analyst Brodie O’Brien and agribusiness manager John Kynoch caught up with NAB’s Brisbane-based Queensland specialist in trade and working capital, Bob Licina, at the QAM lunch. Emerald Grain northern general manager Brad Weier, QAM president and Toowoomba-based regional trading manager with Emerald Grain, Andrew Jurgs, and BCM operations manager Michael Beeston. 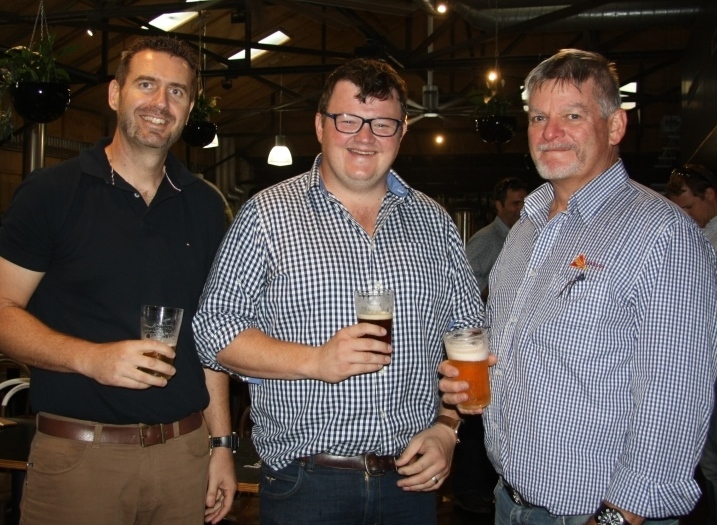 Toowoomba grain traders Anthony Furze, Robinson Grain, and Network Grains principals Craig Dennis and Rod Spalding at the QAM lunch.